Extra Large Black Bucket Hat (Branded) to fit Sizes 61-65 cms (7 5/8 - 8 1/8 US), 100% Soft washed cotton twill, Elastic sweatband, Embroidered eyelets x 4, Wide brim for ultimate sun protection, embroidered with Big Aussie Hats logo on front & domain name on rear of hat. .. Extra Large Green Bucket Hat (Branded) to fit Sizes 61-65 cms (7 5/8 - 8 1/8 US), 100% Soft washed cotton twill, Elastic sweatband, Embroidered eyelets x 4, Wide brim for ultimate sun protection, embroidered with Big Aussie Hats logo on front & domain name on rear of hat. .. 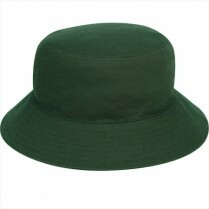 Extra Large Green Bucket Hat (Plain) to fit Sizes 61-65 cms (7 5/8 - 8 1/8 US), 100% Soft washed cotton twill, Elastic sweatband, Embroidered eyelets x 4, Wide brim for ultimate sun protection, no logo embroidered. .. Extra Large Grey Bucket Hat (Branded) to fit Sizes 61-65 cms (7 5/8 - 8 1/8 US), 100% Soft washed cotton twill, Elastic sweatband, Embroidered eyelets x 4, Wide brim for ultimate sun protection, embroidered with Big Aussie Hats logo on front & domain name on rear of hat. .. 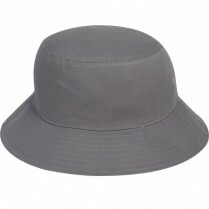 Extra Large Grey Bucket Hat (Plain) to fit Sizes 61-65 cms (7 5/8 - 8 1/8 US), 100% Soft washed cotton twill, Elastic sweatband, Embroidered eyelets x 4, Wide brim for ultimate sun protection, no logo embroidered. .. Extra Large Sandstone / Brown Bucket Hat (Branded) to fit Sizes 61-65 cms (7 5/8 - 8 1/8 US), 100% Soft washed cotton twill, Elastic sweatband, Embroidered eyelets x 4, Wide brim for ultimate sun protection, embroidered with Big Aussie Hats logo on front & domain name on rear of hat. .. 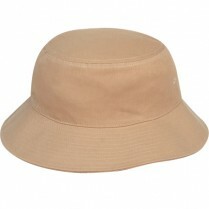 Extra Large Sandstone / Brown Bucket Hat (Plain) to fit Sizes 61-65 cms (7 5/8 - 8 1/8 US), 100% Soft washed cotton twill, Elastic sweatband, Embroidered eyelets x 4, Wide brim for ultimate sun protection, no logo embroidered.] .. Extra Large Red Bucket Hat (Branded) to fit Sizes 61-65 cms (7 5/8 - 8 1/8 US), 100% Soft washed cotton twill, Elastic sweatband, Embroidered eyelets x 4, Wide brim for ultimate sun protection, embroidered with Big Aussie Hats logo on front & domain name on rear of hat. .. 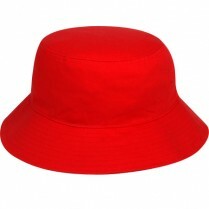 Extra Large Red Bucket Hat (Plain) to fit Sizes 61-65 cms (7 5/8 - 8 1/8 US), 100% Soft washed cotton twill, Elastic sweatband, Embroidered eyelets x 4, Wide brim for ultimate sun protection, no logo embroidered. ..